Domestic violence, also known as domestic abuse or intimate partner violence (IPV), has many forms: physical abuse (strangulation, hitting, kicking, biting, shoving, restraining, throwing objects) or threats thereof, sexual abuse, emotional or psychological abuse, controlling or domineering, intimidation, stalking, passive/covert abuse (e.g., neglect), and economic abuse. Abuse can occur without regard to sexual orientation, gender expression or identity, race, age, socio-economic status, disability, education level, culture or religion. Empire Justice Center provides technical assistance, policy advocacy, training and convenes the Domestic Violence Task Force. In this April 2019 edition of our Policy Maters newsletter, we’ll be covering a long overdue victory for transgender New Yorkers, our robust budget campaigns (including big budget wins for homeowners and immigrants), plus some local and federal advocacy around disability, civil rights, and consumer issues. 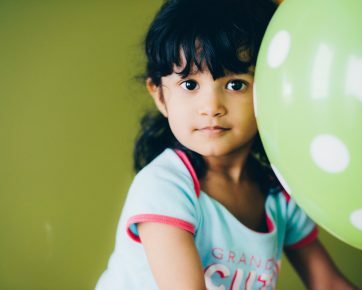 The Trump administration formally proposed a new rule that will force immigrant families to choose between many of life’s necessities – food, health care, housing – and the opportunity to continue to live and work in America. This proposed rule is clearly targeted at low-income people, disproportionately people of color, including elderly individuals, people with disabilities, and working immigrant families, whose work is often the backbone of local businesses and economies and whose children are primarily American citizens, and will have a negative effect on New York State. At the beginning of this legislative session Empire Justice Center noted that this year provided an opportunity for New York State to uphold our shared values in the face of significant shifts in policy perspective at the federal level. While we are pleased that we were able to accomplish the vast majority of our 2018 legislative priorities during this year’s budget process, a series of bills we worked to pass before the end of session that would have helped working parents and children, immigrants, and homeowners were left on the table. Amy Schwartz-Wallace is a Senior Attorney with the Empire Justice Center in Rochester where she has overseen their Domestic Violence Unit for over a decade. She provides legal training and technical assistance to civil legal services attorneys, domestic violence programs and other agencies and organizations statewide. Amy coordinates a multi-year, statewide grant through the NYS Division of Criminal Justice Services where she provides legal training and technical assistance around the intersection of intimate partner violence and LGBT communities. Amy also successfully litigated several impact litigation cases on behalf of victims of intimate partner violence, most notably the Third Department’s 2010 & 2011 decisions in Dickerson v. Thompson which affirmed access to a New York Supreme Court for equitable dissolution of out-of-state civil unions. The Dickerson rulings have since been widely cited in New York, other states, as well as to 2nd Circuit and the United States Supreme Court. Amy engages in policy analysis and legislative advocacy, and her advocacy has directly resulted in numerous law, regulation, and policy changes on local, state, and national levels. Amy has also supervised Empire Justice Center’s LGBT Law Project and Crime Victims Legal Network Project since their respective inceptions. From 2006-2008, Amy also served as an Adjunct Law Professor at Syracuse University College of Law where she taught an upper-level course on domestic violence law. Amy is the author of numerous publications including, Important Identity Change Precedent Created By New York Courts for Domestic Violence Victims and their Children in the compendium VIOLENCE AGAINST WOMEN: VICTIMS AND ABUSERS, LEGAL ISSUES, INTERVENTIONS AND TREATMENT (Joan Zorza, ed., Civic Research Institute 2006) and DOMESTIC VIOLENCE REPORT, Volume 9, No. 4 (June/July 2004). With Sharon Stapel, she co-authored the chapter, Public Assistance and Housing: Helping Survivors Navigate Difficult Systems in the First Department’s LAWYER’S MANUAL ON DOMESTIC VIOLENCE: REPRESENTING THE VICTIM (2015 ed,, 2006 and 2004 eds.). With state agency, the New York State Office for the Prevention of Domestic Violence, Amy co-authored their 2013 GUIDING PRINCIPLES FOR COMMUNITY DOMESTIC VIOLENCE POLICY. This multi-disciplinary statewide tool assists communities with creating and updating comprehensive, responsive policies for cases involving domestic violence. Amy is a proud recipient of several awards recognizing her legal work. In 2015, she was the first recipient of the Ally Windsor Howell Champion of Diversity Award given by the Greater Rochester Association for Women Attorneys. She was also the first recipient of RESOLVE’s 2014 Resolutionary Award, recognizing those who demonstrate vision, leadership and determination toward ending and preventing violence against women in our community. In addition, Amy also had the honor of being recognized with the Up and Coming Attorney Award by the DAILY RECORD legal newspaper in 2007, as well as their Leaders in Law Award in 2010. Among her many community activities, Amy serves on the Board of Trustees for the Monroe County Bar Association (MCBA) and is a former President of the Greater Rochester Association for Women Attorneys (GRAWA). In 2014, she helped to found, and is now currently a member of, the MCBA’s LGBT Committee. She is also a member of Women’s Bar Association of New York’s new LGBT Committee. Amy served as Statewide Co-Chair of WBASNY’s Domestic Violence Committee (2005-2008, 2011-2015) and their Access to Justice Committee (2010-2011). She also co-founded the Domestic Violence Committee for the Greater Rochester Association of Women Attorneys in 2003 and has served as its co-chair for many years. Amy Schwartz-Wallace received her Bachelor of Arts from Drew University in Madison, New Jersey and her law degree from the State University of New York at Buffalo School of Law. Remla Parthasarathy is the Project Leader of the Crime Victims Legal Network, a federally-funded partnership between the New York State Office of Victim Services, the Empire Justice Center, Pro Bono Net, and the Center for Human Services Research at the State University of New York at Albany. The goal of the Project is to connect victims of crime with the civil legal services they need through the development of new technology solutions. The Network is expected to be operational in late 2018. Since graduating from the State University of New York at Buffalo Law School, Remla has worked in a variety of capacities primarily in the field of intimate partner violence. She served as an attorney representing domestic violence victims in Family Court, a systems advocate for a domestic violence shelter and county-wide coalition, a coordinator of a misdemeanor domestic violence court, a coordinator of a safe-home network, and a Domestic Violence in the Workplace Educator. 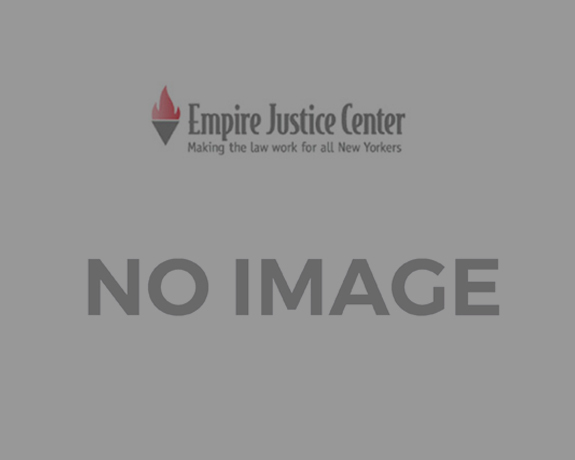 Prior to joining Empire Justice, Remla worked for ten years as the Clinical Instructor for the Women, Children, and Social Justice Clinic at the State University of New York at Buffalo Law School. There, she supervised and taught students placed in agencies that work in the areas of intimate partner violence, elder abuse, child abuse, and human trafficking, and provided assistance to coalitions and task forces in the Western New York area to enhance their communities' response to intimate partner violence. She also teaches as an adjunct professor, and works as a consultant and trainer. Remla has presented workshops at several national and state-wide conferences. She has served on the Board of Directors of the New York State Coalition Against Domestic Violence, the International Institute of Buffalo, the YWCA of Western New York, and the Erie County Coalition Against Family Violence. She is a recipient of the Sr. Karen Klimczack Peace and Justice Award from the Erie County Coalition Against Family Violence, and the Trailblazer Award from the SUNY Buffalo Law School Students of Color Committee. 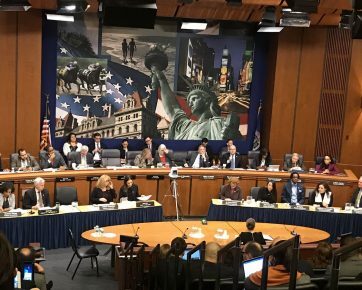 Empire Justice Center has been successful in two hard-fought victories in the 2019-2020 State Budget; the restoration of $20 million in funding for essential services related to foreclosure prevention, and the inclusion of $11 million for legal assistance for immigrant New Yorkers facing deportation and other legal challenges.